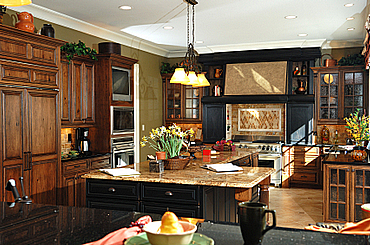 National chain building supply stores offer large cabinet showrooms. Their specialists will design within your space and budget limitations, then build and install a complete set of cabinets. But you can find local, independent cabinet makers who will do the same. Consult several, or as many as you have time for, because prices can vary greatly, as can lead time to get the cabinets built and installed. 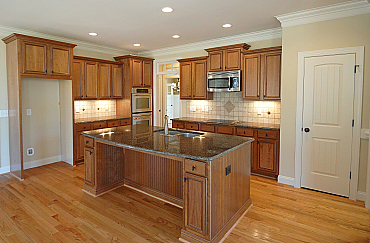 ● Hire an experienced, licensed, insured cabinet maker with good references whom you actually called. ● Do your cabinet planning early. You might find the cabinets you want at the price you want, and then be told that they can’t be ready earlier than six or eight weeks. It’s not that production takes that long. It’s the fact that your order could be at the end of a very long line. Selecting cabinets and getting in line should be one of the first things you do after your house plan is finalized and building gets under way.